Hello, lovelies~ I posted this picture yesterday on my tumblr account, so it may be familiar to some of you who have visited that blog. To those who tumblr, mine is loapj.tumblr.com, if you wanna follow because I intend to keep this mainly beauty, not daily updates of my life and gibberish, lol. 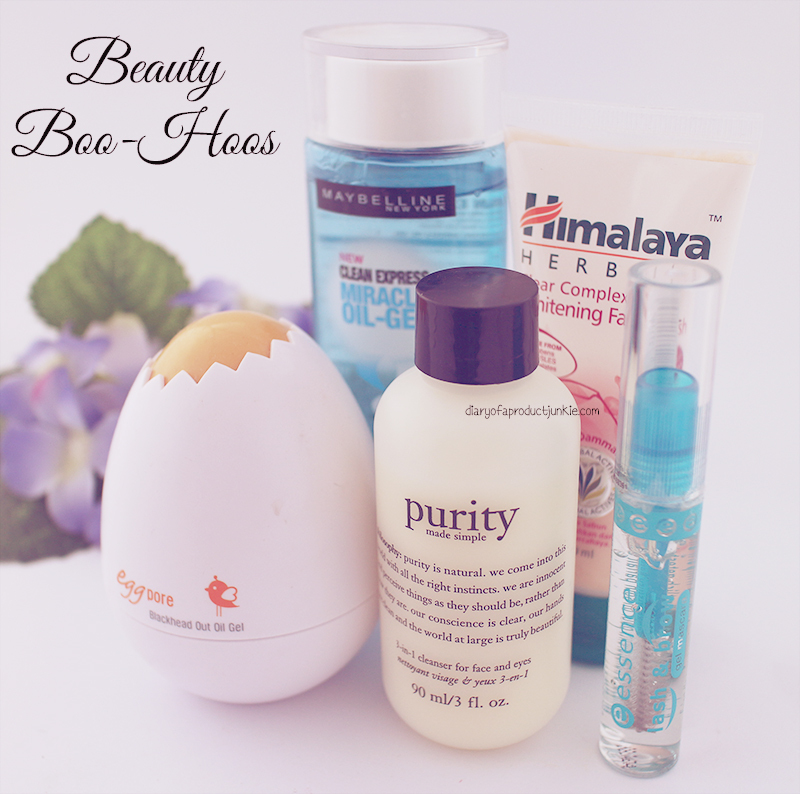 As the title suggests, these are the beauty products that doesn't work for my skin. 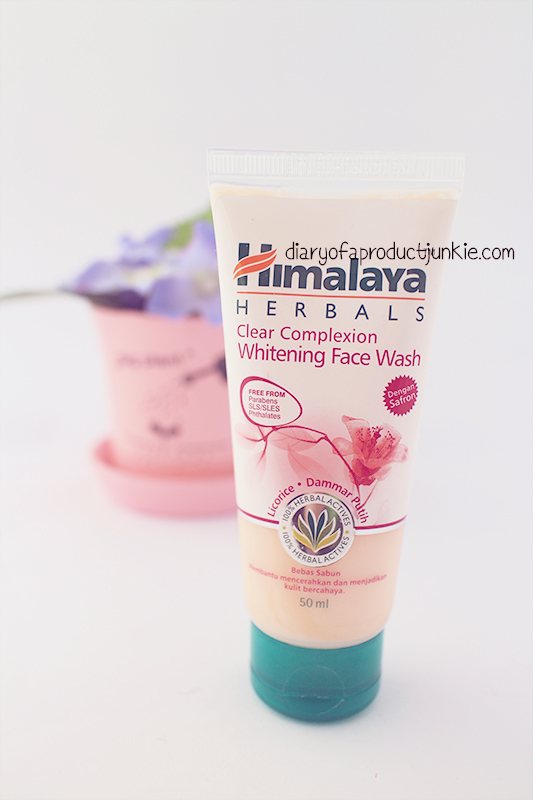 Starting off with the Himalaya Herbals face wash that doesn't dry my face out afterwards, but broke me out within two uses. Too bad, I really thought it can replace my Hada Labo Shirojyun face wash. The second item on the list is another face wash that didn't seem to please my-ever-so-sensitive-and-picky-skin, purity by philosophy. Nearly everyone loved this face wash, some even swore by it, but it broke me out badly on my cheeks and near my eyebrow. 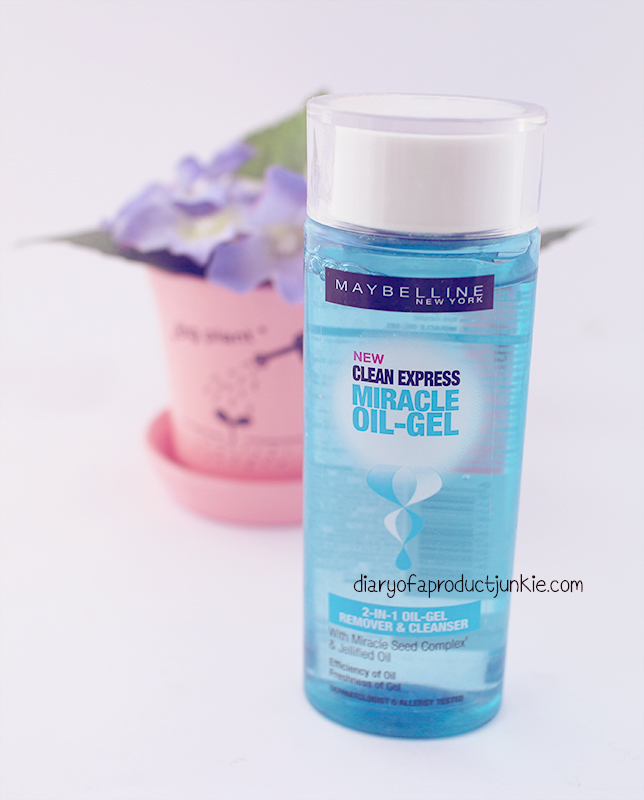 Moving on from face washes and how badly they break me out, let me present to you the all new miracle oil-gel from Maybelline. Their words, not mine. I really want this to work, but I just don't. Despite having the term 'oil' in its name, this is anything but that. It makes me drag my fingers across my face to get the thing to work. Disappointed. 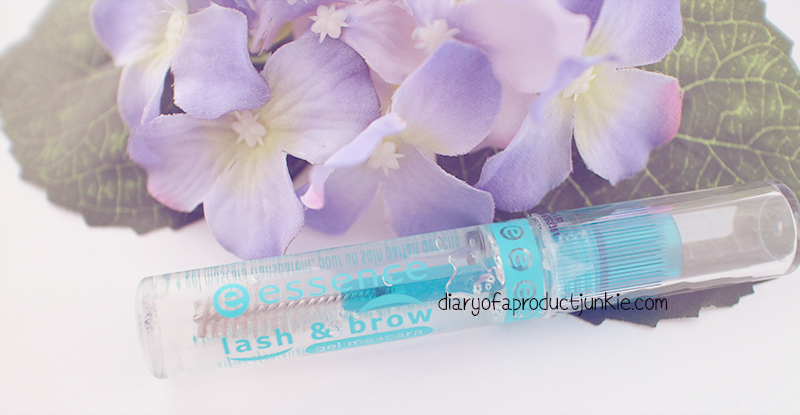 The last items is a brow and lash gel from Essence that I thought would really hold my brows in place. Nope. It didn't. My brows are wet, though. 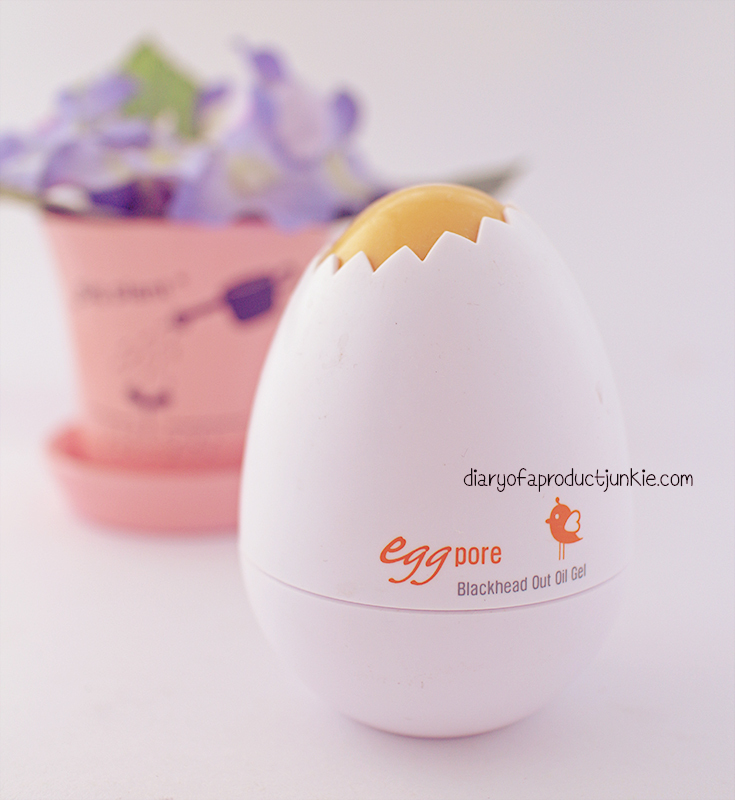 I rarely do full review on a product that doesn't work on me because it is tiring to do such a negative post, lol. Sometimes I would do it if that product is so bad that it rages me and drives me to write a review on it. Remember, if these things work for you, good. So happy for you, truly. Di kamu keluar kah blackheadsnya, sha? aku punya tony moly yg mask, tp ga ngefek apa2 sih ke pori..